There will be no automatic roll-over of the EU's trade deals during the post-Brexit transition period for the UK, according to an EU document on the transition negotiations. 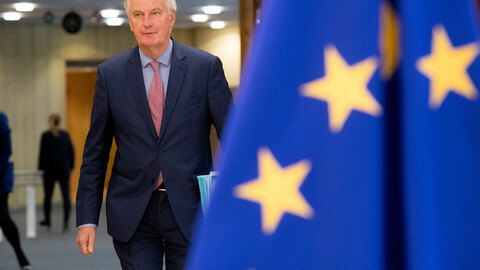 The UK "will remain bound by the international agreements" the EU has signed with third countries on trade, the draft to be discussed by EU ambassadors on Thursday (16 January) and obtained by EUobserver said. There are more than 700 such agreements to which the UK is a party until it becomes a third country after Brexit in March 2019. During the transition period after Brexit, the UK – which like Turkeyhas a limited customs union with the EU for goods – will not necessarily have access to third countries' markets, while it will have to respect EU tariffs when receiving goods from the third country. For instance, while the UK will need to adhere to EU customs rules receiving goods from third countries that have deals with the EU, South Korea might decide to impose tariffs on goods from the UK as it is no longer a member of the EU – unless the EU agrees with these third countries to make an exception for the UK during the transition period. The document also hints that the UK needs to ask the EU to deal with the extension of trade deals with third countries so they can be applied during the transition period for Britain as well. 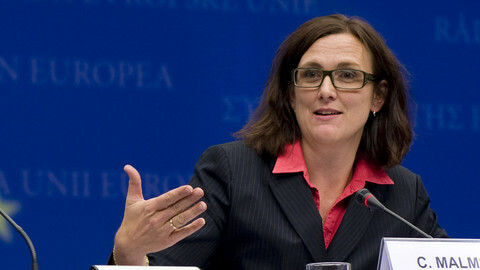 Some member states, such as the Netherlands, Ireland, Belgium, Sweden, Poland, are worried about the UK's membership becoming an issue with third countries, since they are connected to the UK through production chains, meaning their goods can be affected too if they have a substantial percentage of UK products in them. 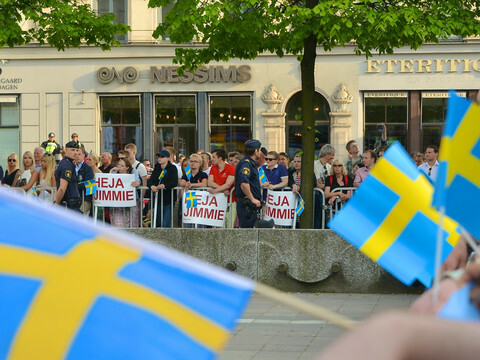 These countries are keen for the roll-over of these existing deals, but it remains to be seen how many of the approximately existing 700 the EU Commission is capable of sorting out for the UK's transition period of one year and nine months. 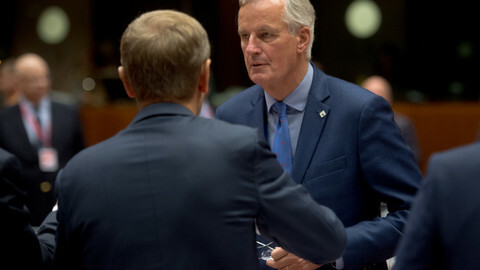 According to the latest draft of the mandate that will guide the EU's chief negotiator Michel Barnier during the talks on the transition period, the UK can start talking to third countries about its own trade deals, but these accords cannot enter into force during the transition period "unless authorised to do so by the union". 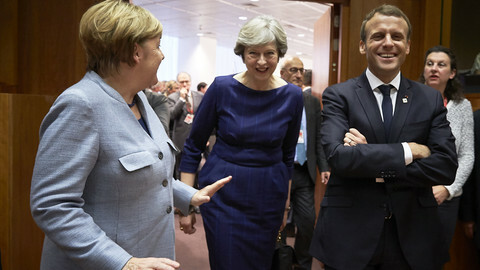 France wanted to go further and also rule out negotiations for the UK, according to a source, but most member states argued that talking is fine so long as there are no new legal obligations for the UK. Member states are also discussing how flexible the transition period should be, with the draft mandate sticking to the 31 December 2020 as an end date. This date would coincide with the end of the EU's budget cycle and would help to have a clean financial break between the UK and the EU. 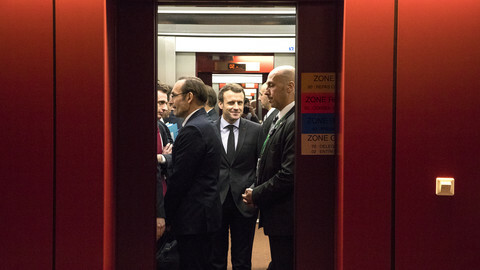 Some countries have argued for more flexibility, suggesting to add "in principle" to the end of the transition period in the text, but France and Germany have insisted on sticking to the end of 2020 definitely. 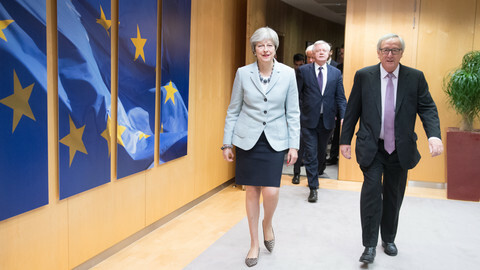 The draft also points out that the UK can no longer participate in the so-called working groups of the council during the transition period, but new mechanisms will have to be found of cooperating - for example, on sanctions policies as the UK and the EU wish to work together on defence and foreign policy. EU ambassadors will discuss the latest draft on Thursday, with the aim of EU ministers adopting it on 29 January. 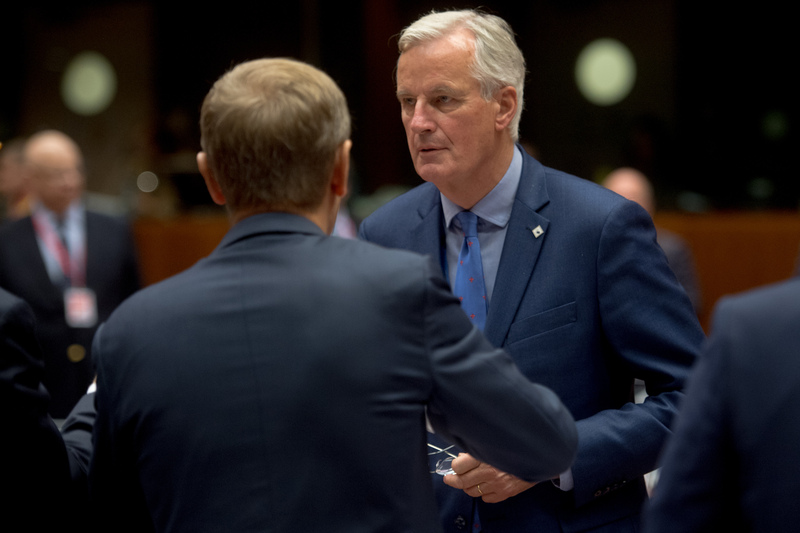 With so many vested interests, both economic and political, the negotiations with the EU are heading to a situation where the UK would remain too much involved with the EU, and paying too much.